Brisbane and the Gold Coast City, can only be described as Beautiful One Day, Perfect the Next. With it’s perfect all year round climate, many natural attractions, surfing beaches, rainforests and fishing, combined with a kaleidoscope of entertainment from Australia’s best known theme parks and sporting events, to world renowned hotels and shopping precincts. Queensland’s Gold Coast is also home to one of Australia’s largest boat building industries and it is an Australian cruising destination that is marked in every captain’s log. 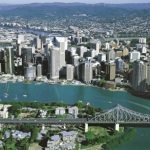 QUEENSLAND’S capital city Brisbane is a major cruise ship destination and port, with the beautiful Moreton Bay at our doorstep. Our region has many destinations to explore. To the south the “Gold Coast” entices with its magnificent surfing beaches, marinas, international hotels, shopping and nightlife. To the north lies the “Sunshine Coast”, the world’s largest sand island “Fraser Island”, the Great Sandy Straits, and the Bunker Group of Islands at the start of “The Great Barrier Reef” which stretches 1400NM of natural wonders to Far North Queensland. This is an amazing and varied area of the world to explore. Brisbane is a vibrant and energetic New World city with an innovative edge; a modern, free spirited outlook built around the meandering Brisbane River. Brisbane has several premier shopping precincts, world-class theatre, restaurants and national sporting events. Brisbane River has many wonderful vantage points to relax overlooking the river and city. South Bank and West End are popular locations for alfresco dining with numerous cafés and restaurants all in close proximity to Queensland’s Cultural, Arts and Music district. Southbank Parklands is the transformed site of Brisbane’s World Expo 88 and offers a large man-made beach and swimming lagoon. The “Gabba”, located in Woolloongabba just south of the city, is a 42,200 seat circular sports venue hosting national and international sporting events. The cultural calendar extends throughout the year with a diverse array of events and festivals including fireworks, jazz and the classics bringing the waterways alive. Queenslanders are well known for their relaxed and friendly attitudes, with a love of the outdoors. 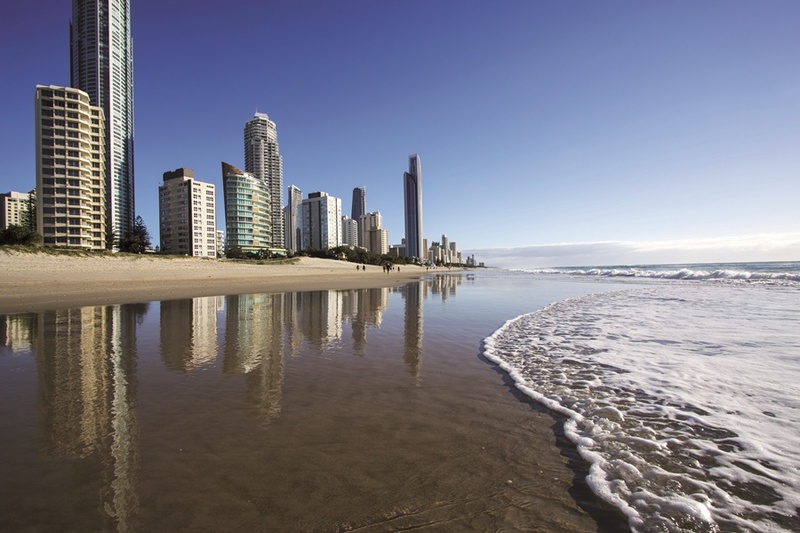 The Gold Coast is Australia’s tourist capital; glamorous and relaxing to some, adventurous and active to others. As Queensland’s second largest city, attracting over 10 million visitors each year, the “Gold Coast” encompasses 70 km of coastline and is Australia’s largest expanse of calm water. This city is defined by glamour, fashion and sun-kissed locals with a sophisticated style. Fashion is a big part of life on the Gold Coast; a shopping mecca with all the international fashion names. Leading events include the Magic Millions horse races, the high Octane V8 Supercars (Gold coast 600) and major surf titles. Australia’s most acknowledged restaurants and international chefs are located here, as is Conrad Jupiters Casino and a vibrant nightclubbing scene from Broadbeach to Surfers Paradise. 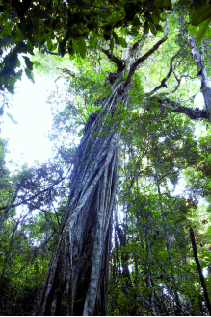 The Gold Coast hinterland cradles World Heritage listed rainforests with unique Australian native wildlife and small country life communities. A sophisticated city, formed by a complimentary fusion of people from around the world, a blend of sun, surf, sand and vibrant city sights, with 40 premier golf courses and 4 major theme parks. The region is a fishing and diving haven, offering a wide variety of experiences to suit all levels of ability. Pristine reefs, amazing wrecks and a wide variety of marine life such as Manta Rays in summer, Humpback whales and Grey Nurse sharks in winter and the permanent home to six out of seven of the world’s species of sea turtle. The average annual water temperature is between 20 and 24 degrees, with an average visibility of 18 to 30 metres during the warmer months. Famous for fresh, abundant seafood and blessed with great ingredients for world-class cuisine, tropical fruits and the best locally grown produce, all perfect for unsurpassed yacht provisioning. Located in the southeast corner of Queensland, the region experiences brilliant hot summers and clear and dry mild winters; a perfect subtropical climate with beaches, islands and natural waterways that are used for recreation, commerce, fishing and transport. 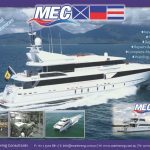 The marine industry located at Brisbane and the Gold Coast, 80kms apart, is serviced by two international airports, rail links, and a highway hub. The Gold Coast, home of the Sanctuary Cove International Boat Show, has become the key Australian centre for producing top recreational craft. 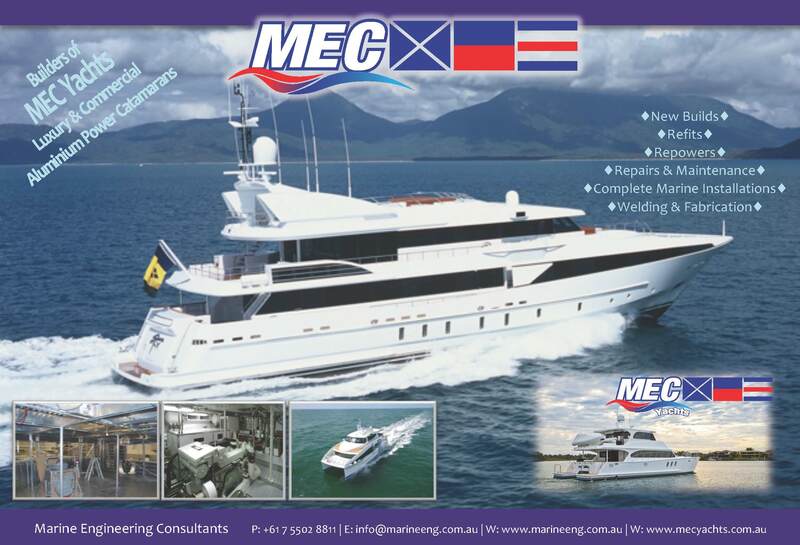 South East Queensland houses Australia’s largest boat building industries with a cross-section of professional marine and related businesses experienced in providing boat building, refits, component manufacturing and support services for the superyacht Industry. 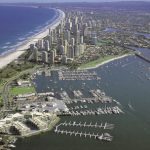 The Gold Coast has the capacity for up to 95 superyachts, with calm deep-water berthing across eight marina facilities. Brisbane’s current capacity supports 34 superyachts across five marina facilities. 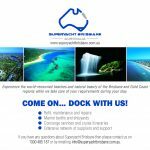 South East Queensland offers an ideal refit location below the cyclone (hurricane) belt and is conveniently situated halfway between Sydney and the Great Barrier Reef. 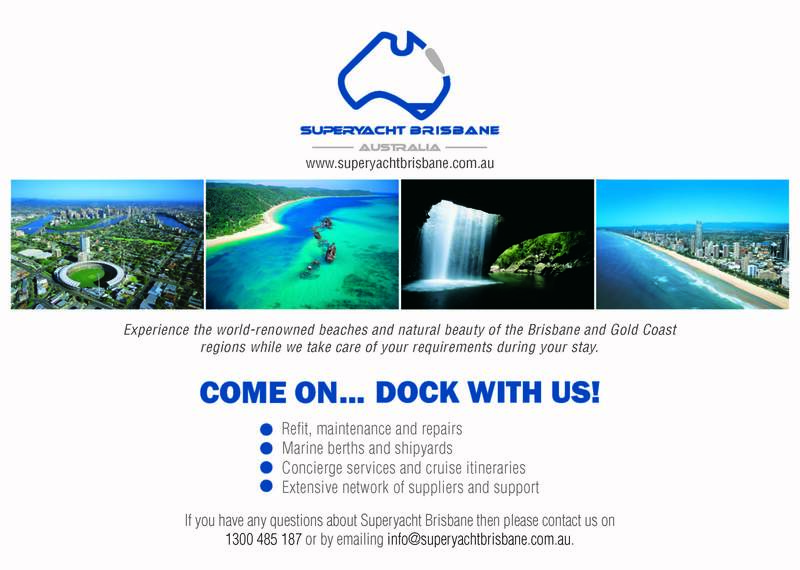 Brisbane is the only Australian port in the Dockwise Yacht Transport international network, providing superyachts with direct access to world-class refit facilities and marine industry services as well as a perfect launching point for cruising the Queensland coast. 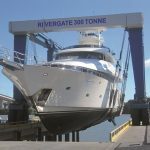 Brisbane and the Gold Coast boast a high calibre of marine industry workmanship and an impressive track record in refitting, refurbishing and maintaining superyachts. The facilities in Brisbane offer a total of 35,000m2 of hardstand area, five marine travelifts capable of lifting up to 600 tonnes, multiple slipways capable of accommodating vessels up to 100m (LOA) or 2500 tonnes lightship displacement, as well as a Panamax Class dry dock which is one of the largest in the southern hemisphere; a 300m long lay-berth with deep water access serviced by a 30t crane. 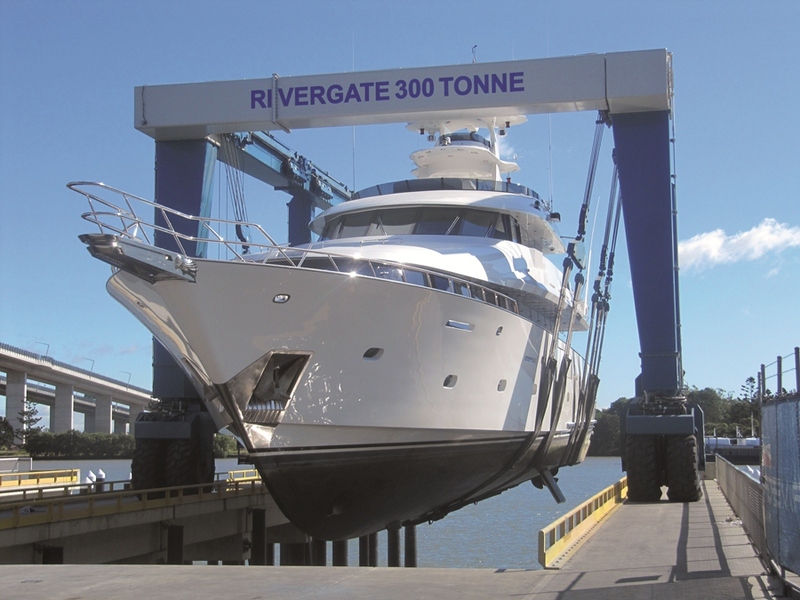 The Gold Coast Marine Precinct includes a 150t travel lift & seven Superyacht refit & construction facilities with the region providing over 5000 skilled marine tradesman. Deep-water berthing in state-of-the-art marinas is accessed by a regularly maintained and charted 15 metre commercial channel through the cruising grounds of Moreton Bay, past the Port of Brisbane to the Brisbane CBD. 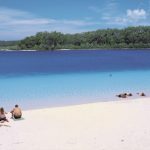 Local destinations are accessed from the Brisbane River which extends out to the spectacular aquatic playground of “Moreton Bay”, a 1,000 square kilometre body of sheltered water, with 54 nautical miles of white sandy ocean beaches on “Moreton”, “North Stradbroke” and “South Stradbroke” Islands, sheltering 335,455 hectares of natural landscape. 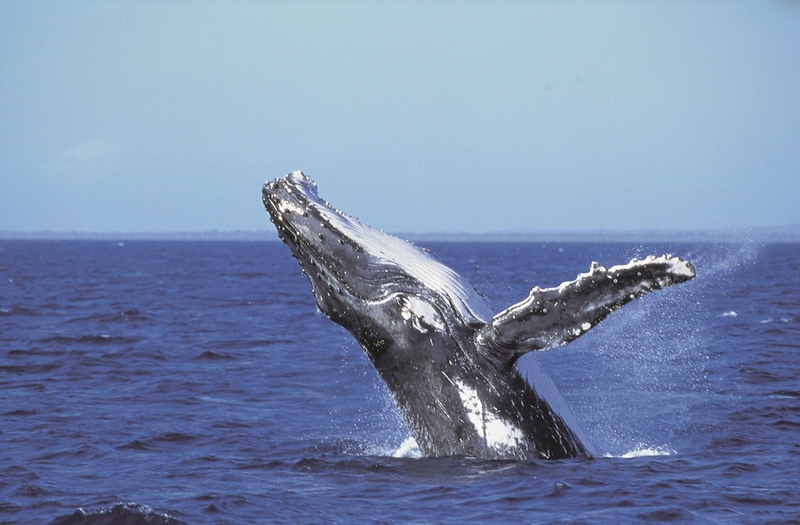 Moreton Bay is a marine national park brimming with marine life – turtles, dugongs, dolphins and migrating whales during spring. The islands of Moreton Bay are undoubtedly some of Brisbane’s most valuable assets with excellent anchorages for deep draft vessels. 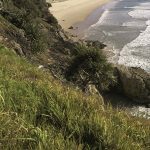 Moreton Island is a magnificent sand island and is almost completely National Park status, perfect for bird watching and bushwalking on established walking tracks. Freshwater ‘Blue Lagoon’ lake offers a host of birdlife and wildflowers during spring. The oldest lighthouse (1857) in Queensland stands at Cape Moreton. ‘Tangalooma’ offers quad-biking tours around the island and head-first, high-speed sand-tobogganing down the world’s tallest stabilised sand dune mountain – Mt Tempest. Stretches of white sandy beach line the island’s ocean side making it ideal for swimming, surfing, and fishing, while the sheltered western edge offer a calm environment for those after a more relaxing experience. A number of mysterious wrecks are dotted along the western coast of Moreton Island, including the famous Tangalooma Wrecks. Rich in Aboriginal and European historical sites, you can also attend indigenous cultural and bush tucker talks. North Stradbroke Island, or ‘Straddie’ as it’s known to locals, is a ruggedly beautiful sand island, an ideal location for surfing, four-wheel driving over sand dunes, swimming in fresh water lakes, snorkelling and diving in the Pacific Ocean, whale watching, fresh seafood and fine dining. The Sunshine Coast has 100 kilometres of surf beaches from Caloundra to Noosa in the north. It is also home to Steve Irwin’s Australia Zoo, and the hinterland area behind is covered with temperate rainforest with a wonderful melting pot of artists, crafts, food and wine producers. 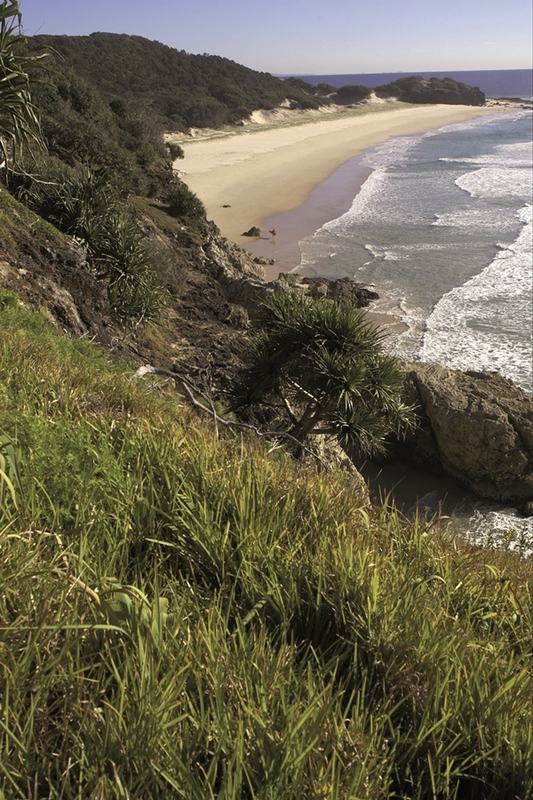 Coolum, on the coast, is the home of Queensland’s premier PGA golf course. Coolum is situated close to “Mooloolaba” Marina and accessible by tender, weather permitting. Noosa is an international tourist mecca with a relaxed beach atmosphere, delectable foods, high fashion and luxury accommodation. Fraser Island is a truly unique World Heritage listed destination only a day’s steaming from Brisbane. It is a place of exceptional beauty with uninterrupted white beaches flanked by strikingly coloured sand cliffs and over 100 freshwater lakes perfect for swimming. Fraser is the largest sand island in the world and the only place where tall rainforests grow on sand dunes at elevations of more than 200 metres. It is the home of the purest breed dingo, 354 recorded species of birds and provides the perfect opportunity to view at close quarters the majestic humpback whales’ frolicking with their young during their Antarctic migrations in July before returning south in October. The Great Sandy Straits separating Fraser Island from the mainland provide excellent and secluded anchorages extending from the southern tip up the island’s western coast. Lady Elliott Island, less than a day’s cruise north of Fraser Island is a coral cay island paradise with an eco-resort, heritage-listed lighthouse and airstrip. Lady Elliott is part of the Capricorn Bunker Group in the southern part of the World Heritage-listed Great Barrier Reef. Like her sister islands further to the north, the coral cays are touted as some of the best diving locations in the world due to the water clarity and temperature. You can step off the beach and snorkel, swim or dive amongst a diverse array of coral and fish with turtles and manta rays calling the location home. The surrounding reef area has 14 well-known dive sites and is famous for a resident population of 40 manta rays. Lady Musgrave Island, 21 nautical miles northwest of Lady Elliot, is a 13 hectare uninhabited coral cay with a large protected lagoon. The famous Fitzroy Reef is northwest of Lady Musgrave and is fantastic for diving and snorkelling. Lady Musgrave and Fitzroy Reef have large lagoons providing safe and sheltered anchorage, with larger vessels anchoring in the lee of the island and atolls. Venturing further north, Heron Island lies on the Tropic of Capricorn, northwest of Lady Musgrave Island. Heron is a small, but spectacular coral cay surrounded by a rim of coral reef, abundant in life. 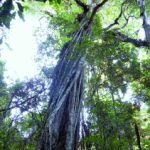 It supports around 900 of the 1,500 species of fish and 72 per cent of the coral species found on the Great Barrier Reef. There is a Reef Research Station and a private island resort on the island. 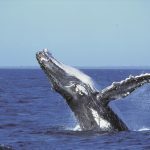 Humpback whales pass by in June and over 100,000 seabirds nest on the island in January. Two nautical miles southwest of Heron Island, Wistari Reef provides a designated anchorage suitable for vessels over 35 metres in length. Diving in this area has an international reputation, with Jacques Cousteau listing the Heron Bommie as one of his top 10 favourite dive sites. North West Island, northwest of Heron is the second largest coral cay in the Great Barrier Reef. The island was once the site of a flourishing guano mining operation during the 1890’s and a Turtle soup cannery in the early to mid 1900’s. Great Keppel Island is located off the coast of Yeppoon and is one of 14 islands making up the Keppel group. The Keppel islands offer beautiful cruising through crystal blue waters and white sandy beaches. Inland of here Port Clinton and Island Head Creek would appeal to yachts seeking picturesque, remote and protected anchorages (with consideration to tidal variance), with deep water right up into the mangrove estuaries. The Percy group of Islands are continental islands 120 nautical miles NNW of Great Keppel Island and eight hours cruising south of the world famous Whitsundays group of islands. Isolated anchorages, secluded bays, sandy beaches and heavily forested rich and unique flora abound. Middle Percy is a popular stop to view the collection of passing yacht memorabilia stored in the famous ‘A-frame hut’ ashore at West Beach. To the North West, Scawfell Island, is a good overnight anchorage on your way to the Whitsunday Islands. The island is a remote and unexplored piece of paradise with safe anchorage at Refuge Bay. Many of these islands are significant seabird breeding and green and loggerhead turtle nesting and feeding sites between November and February. Wherever you venture along the Queensland coast, natural wonders abound that will inspire the senses and soothe your soul.